The distance to work is determined by our different means of transportation. From private cars to shared bicycles, no matter which kind of transportation is used to save more time on the road. In the market, the emerging brands with good reputation in the past two years, such as FIIDO, are mainly cost-effective, bypassing middlemen, using Internet sales, F2C mode, saving money for users, and doing good after-sales service. In 2018, FIIDO will launch D2. Different from the urban version of D1, it still maintains lightweight folding characteristics. It adds rear shock absorption system and also upgrades the wheels from 14 inches to 16 inches. The friction with the ground increases, ensuring our fast driving process. Can brake in time. For areas with poor road conditions, upgrading the shock absorbers and the urban version of the D2 with larger tires makes it easy to navigate more different road conditions. In order to solve the problem of “friction and power” when the user is sitting in the car for a long time, the D2 has also upgraded the seat cushion to make you more comfortable in the car. 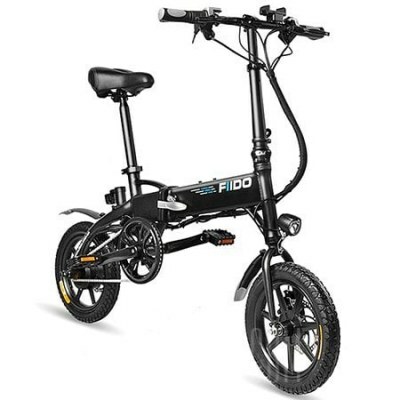 Most of the friends who have experienced the urban version of D1 know that D1 is an elf in urban riding, and its beautiful and extreme appearance makes the user more confident in riding. How many surprises will FIIDO D2 bring to us?